The average woman will spend one-third or more of her life in menopause. 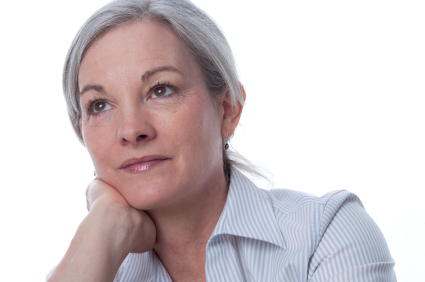 The average age for menopause is 45 to 50 years of age. Symptoms can range from nearly absent to quite severe. Menopause is often accompanied by cognitive changes that include word recall difficulties, facial recognition difficulties, spelling difficulties (in formerly good spellers) and an inability to "see" objects that are right in front of your eyes. Some women feel like they are "going crazy" during menopause. Hot flashes can sometimes be reduced by keeping the hands and feet warm. Perimenopause happens 5 to 10 years before menopause. Women often experience cognitive, physical and emotional symptoms during this precursor to menopause. Menopause can be a time of rebirth or reinventing yourself.